Draft: 2012, Detroit Tigers, 2nd rd. Began the season with Lehigh Valley (AAA)... Was named Phillies Minor League Pitcher of the Week, 4/17-23... Had a 3.33 ERA (9 ER, 24.1 IP) in 4 July starts with Lehigh Valley... Had 4 stints with the Phillies: 5/5-10, 7/25-8/3, 8/24 and 9/3-end of season... Posted a 3.27 ERA (15 ER, 41.1 IP) in his 8 starts for the Phillies (allowed 5 ER in 5.0 innings as reliever)... Tossed 5.0 scoreless innings (first career scoreless start) on 7/28 vs ATL, his first start since 9/25/16... Allowed 1 or 0 runs in 5 of his 8 starts, the 3rd-most such starts of all Phillies starters, trailing Aaron Nola (10) and Nick Pivetta (7)... His 3.27 ERA as a starter was the lowest by any Phillies pitcher with at least 5 starts... Held LHH to a .219 AVG (14-64) with just 1 HR in 77 plate appearances. Began the season with Frisco (AA)... Named a Texas League midseason All-Star... Had a professional-high 12 SO, 5/4 at Corpus Christi (7.0 IP, BB)... Threw 6 consecutive quality starts, 5/20-6/18 (4-2, 1.60 ERA, 8 ER, 40.0 IP)... Tossed a 6.0-inning CG, 6/18 at Corpus Christi... Pitched for Team USA in the Pan Am Games in July... Traded to the Phillies on 7/31 and assigned to Reading (AA)... Pitched at least 6.0 innings and allowed 2 ER or fewer in each of his 7 starts for Reading; the team went 6-1 in those starts... Named Phillies Minor League Pitcher of the Week, 8/31-9/7... Ended the regular season with a 9.0-inning scoreless streak... Went 2-0, 0.56 ERA (1 ER, 16.0 IP) in 2 Eastern League playoff starts... Pitched a SHO in the EL Divisional Series, 9/11 at Binghamton (9.0 IP, 3 H, BB, 8 SO)... Participated in Florida Instructional League... Following the season, was ranked as the 3rd-best prospect in the Phillies minor league system by Baseball America. Began the season with Lakeland (A)... Went 3-1, 0.97 ERA (4 ER, 37.0 IP) over his first 6 starts... Had a 16.2-inning scoreless streak, 4/5-16... Was the winning pitcher for Team USA in the All-Star Futures Game held at Target Field (0.2 IP, 2 SO)... Promoted to Erie (AA), 7/15... Traded to TEX on 7/23 and assigned to Frisco... Averaged 11.10 SO/9.0 IP (44 SO, 35.2 IP) for Frisco... Following the season, was named the 6th-best prospect in TEX's minor league system by MLB.com. Spent the entire season with West Michigan (A)... Had his 1st professional double-digit SO game, 6/22 at Great Lakes (6.0 IP, 3 H, ER, 10 SO)... Went 3-2, 2.67 ERA (21 ER, 70.2 IP) in 14 games (13 GS) following the All-Star break. Began his pro career with the Gulf Coast League Tigers (R)... Allowed 1 ER or none in 6 of his 7 starts... Held RHH to a .125 AVG (8-64). November 20, 2018 Leones del Escogido placed RHP Jake Thompson on the reserve list. 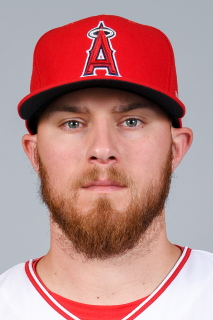 November 2, 2018 RHP Jake Thompson elected free agency. October 15, 2018 RHP Jake Thompson assigned to Leones del Escogido. September 3, 2018 Milwaukee Brewers sent Jake Thompson outright to Colorado Springs Sky Sox. August 31, 2018 Milwaukee Brewers designated RHP Jake Thompson for assignment. August 16, 2018 Colorado Springs Sky Sox activated RHP Jake Thompson. August 14, 2018 Milwaukee Brewers claimed RHP Jake Thompson off waivers from Philadelphia Phillies. August 14, 2018 RHP Jake Thompson assigned to Colorado Springs Sky Sox. August 10, 2018 Philadelphia Phillies designated RHP Jake Thompson for assignment. August 2, 2018 Philadelphia Phillies optioned RHP Jake Thompson to Lehigh Valley IronPigs. July 25, 2018 Philadelphia Phillies recalled Jake Thompson from Lehigh Valley IronPigs. July 10, 2018 Philadelphia Phillies optioned RHP Jake Thompson to Lehigh Valley IronPigs. July 9, 2018 Philadelphia Phillies recalled Jake Thompson from Lehigh Valley IronPigs. July 6, 2018 Philadelphia Phillies optioned RHP Jake Thompson to Lehigh Valley IronPigs. July 1, 2018 Philadelphia Phillies recalled Jake Thompson from Lehigh Valley IronPigs. June 21, 2018 Philadelphia Phillies optioned RHP Jake Thompson to Lehigh Valley IronPigs. June 17, 2018 Philadelphia Phillies recalled Jake Thompson from Lehigh Valley IronPigs. May 14, 2018 Philadelphia Phillies optioned RHP Jake Thompson to Lehigh Valley IronPigs. May 10, 2018 Philadelphia Phillies recalled Jake Thompson from Lehigh Valley IronPigs. April 30, 2018 Philadelphia Phillies optioned RHP Jake Thompson to Lehigh Valley IronPigs. April 27, 2018 Philadelphia Phillies recalled Jake Thompson from Lehigh Valley IronPigs. April 8, 2018 Philadelphia Phillies optioned RHP Jake Thompson to Lehigh Valley IronPigs. September 3, 2017 Philadelphia Phillies recalled Jake Thompson from Lehigh Valley IronPigs. August 25, 2017 Philadelphia Phillies optioned RHP Jake Thompson to Lehigh Valley IronPigs. August 24, 2017 Philadelphia Phillies recalled Jake Thompson from Lehigh Valley IronPigs. August 4, 2017 Philadelphia Phillies optioned RHP Jake Thompson to Lehigh Valley IronPigs. July 25, 2017 Philadelphia Phillies recalled Jake Thompson from Lehigh Valley IronPigs. May 11, 2017 Philadelphia Phillies optioned RHP Jake Thompson to Lehigh Valley IronPigs. May 5, 2017 Philadelphia Phillies recalled Jake Thompson from Lehigh Valley IronPigs. March 24, 2017 Philadelphia Phillies optioned RHP Jake Thompson to Lehigh Valley IronPigs. August 6, 2016 Philadelphia Phillies selected the contract of Jake Thompson from Lehigh Valley IronPigs. April 2, 2016 RHP Jake Thompson assigned to Lehigh Valley IronPigs from Reading Fightin Phils. January 6, 2016 Philadelphia Phillies invited non-roster RHP Jake Thompson to spring training. August 4, 2015 RHP Jake Thompson assigned to Reading Fightin Phils. July 22, 2015 Frisco RoughRiders activated RHP Jake Thompson from the temporarily inactive list. July 15, 2015 Frisco RoughRiders placed RHP Jake Thompson on the temporarily inactive list. May 15, 2015 Frisco RoughRiders activated RHP Jake Thompson from the temporarily inactive list. May 10, 2015 Frisco RoughRiders placed RHP Jake Thompson on the temporarily inactive list. July 24, 2014 RHP Jake Thompson assigned to Frisco RoughRiders. July 15, 2014 RHP Jake Thompson assigned to Erie SeaWolves from Lakeland Flying Tigers. March 29, 2014 RHP Jake Thompson assigned to Lakeland Flying Tigers from West Michigan Whitecaps. February 28, 2014 Jake Thompson assigned to Detroit Tigers. May 28, 2013 RHP Jake Thompson assigned to West Michigan Whitecaps from GCL Tigers. June 17, 2012 Jake Thompson assigned to GCL Tigers from Detroit Tigers. June 13, 2012 Detroit Tigers signed RHP Jake Thompson.